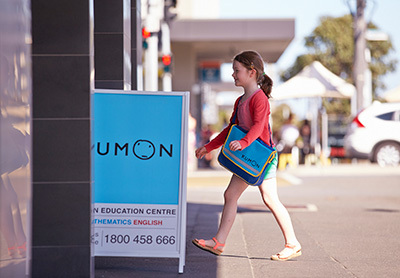 Kumon’s individualised learning method allows each student to study at a level that is best suited to his or her academic ability, regardless of age or school grade, and advance beyond his or her current school grade level. Kumon offers individualised instruction to help each child develop his or her ability to the maximum. Children’s level of ability varies depending on their natural aptitude and the environment in which they are raised. If students study the same content just because they were the same age, some children could lose confidence because the material was too difficult, while others could become bored because it was too easy. So it is important that every student is provided with material that is best suited to their academic ability. Throughout their time with Kumon, Instructors provide students with material suitable for their ability level while taking into consideration their degree of mastery of the content. At Kumon, students begin their study at a level where they can receive perfect scores easily and advance at their own pace. 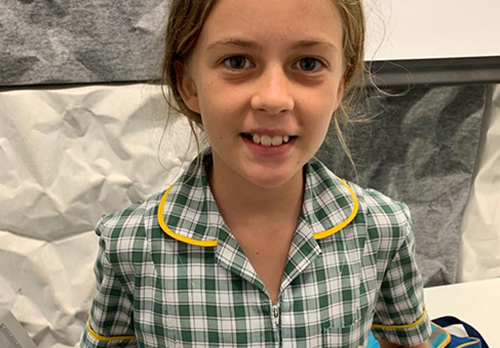 By continuing to study at a level appropriate to their ability, students become enthusiastic learners and repeatedly experience a sense of accomplishment while increasing their academic ability. At Kumon we refer to this optimum level for study as a student’s “just-right” level of study. Both students who need to be challenged and those who can’t keep up with their classes are able to develop their ability to the maximum when they study at the “just-right” level. Children at Kumon begin studying at a level appropriate to their ability and advance at their own pace, regardless of age or school grade. For example, students in the fifth, sixth or even seventh grade, may begin their Kumon study with addition if deemed necessary. On the other hand, we do not prevent students from advancing to high school material just because they are still in elementary school. Students begin their Kumon study at a level that they can easily handle, which is often lower than the level of material they are studying at school. Before long, through continued study at the “just-right” level, they reach their school grade level and then advance beyond the material being studied in their school classroom. After advancing two or three years beyond their school grade level, in addition to improving their academic ability, students become more eager to take on new challenges, and develop qualities such as increased independence and a positive attitude to learning.